I thought the first novel was good but aince it was an origin story it had cover many of thw tired tropes of the genre. 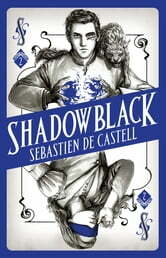 Shadowblack is better because Sebastian has more figurative space to swing the story about. However, the big reveal was over telegraphed which made it easy to guess. I still loved novel. Kellen has left his home in the company of his bad-tempered squirrel-cat Reichis and the Argosi wanderer Ferius Parfax. No longer Sha'Tep as was destined by his counterbanding and yet not Jan'Tep, he is an outlaw, an exile, one looking for his own path. Of course, being Kellen means that nothing runs smoothly and he attracts disaster to himself as others attract, well no-one attracts anything as much as Kellen attracts trouble. With hexmages hard on his heels and the dubious populace of the Borderlands set fair to steal and cheat him you can bet he is in trouble from the get go. Things take turn for the worse when he meets up with a very powerful Hexmage who is set fair to kill him but then Rosie and Seneria turn up. But all is not what it seems with this pair and Kellen's compassionate heart leads him into more peril in the land of seven sands and it's Academy. A rip-roaring tale that is The Dark Tower for a new generation of readers. Full of peril, humour and a little dash of romance it keeps you turning those pages as you sop want things to work out for the kid. As is the wont of such books there is a powerful allegory for the reader about finding your own way in life. Being true to yourself and not being blinded by flattery - after all who wants their fur to turn pink? To always look beneath the surface of others to divine their true self and not being conned by their glamour. 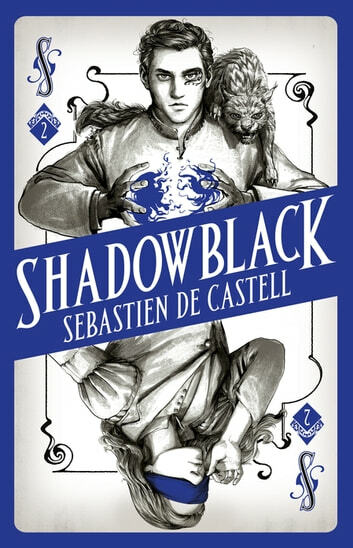 A wonderfully rich fantasy world has been created within the pages of this book that expands the universe from the first boo in the series. Not just a book for YA readers but a book for all who enjoy a good fantasy tale with more than a whiff of a Western about it. I RECEIVED A FREE COPY OF THIS BOOK FROM READERS FIRST IN EXCHANGE FOR AN HOST REVIEW.